From the parking lot of Carrefour du Mont Ussy (Rocher d'Hercule), take the Route du Mont Ussy for 200m in direction of the main sector, and turn right at a path for 20m. 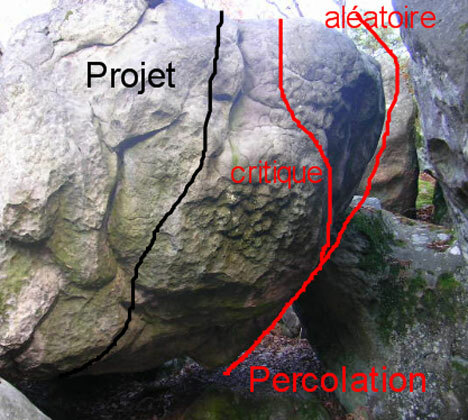 The boulder is on the right, among a small chaos, just above an old yellow number, opposite yellow n°45. Sitstart and exit directly.